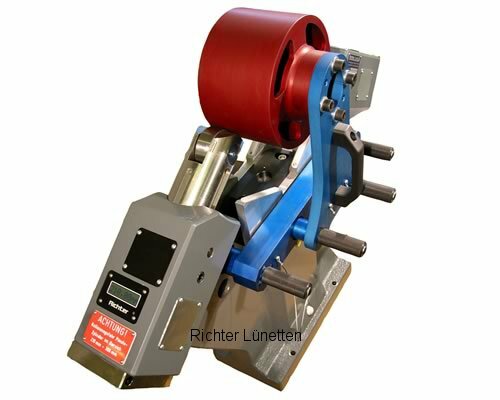 Roller fixture type 8/1 with electronics has in this execution, from 200-500 mm work area a measuring system. Over the blue-red calibrating equipment the digital display the measure becomes 220 mediates. In addition both guides from a side are to be served to. After that calibrate is operational the roller fixture. Electronics works network-independent and is again rechargeable.